The Raw intro had just played as the crowd cheered. Summer&apos;s music hit, causing their cheers to turn into boos. Summer came walking out in a black dress and heels, a microphone in her hand. She smirked at the crowd a she started walking down the ramp. "What does she want now?" Jerry muttered. "Well, if you didn&apos;t watch Extreme Rules last night you missed the utter destruction of Gabby Bryan," Cole muttered. "That&apos;s right, guys!" JBL cheered, "Summer proved once and for all that she is much better then Gabby could ever be." "I don&apos;t think so, John," Cole stated. "That&apos;s right," Jerry said in agreement, "In the end of the match, just when we thought Gabby was about to pick up the victory, the cage would suddenly surround the ring, not only locking Gabby and Summer inside, but Evolution as well." 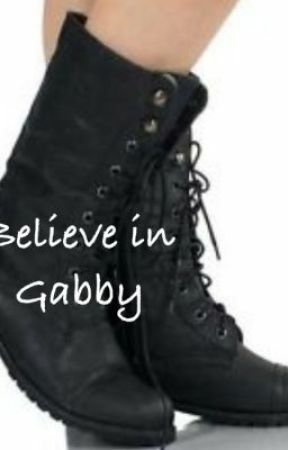 "Yes and this would lead to the destruction of Gabby Bryan," JBL said, "We will never see Gabby again." "I completely disagree John, Gabby&apos;s tough," Cole said. "Triple H always said he wanted to get rid of Gabby the most," Jerry muttered. Summer laughed into the microphone, "She can&apos;t hear you." This caused the crowd to boo. "I told you all," Summer said, "Every week I told all of you that I could beat Gabby, but nobody believed me. Everyone thought that Gabby would have a walk in the park. Everyone thought that after that match I would never be seen again." Summer paused and chuckled, "Looks like the exact opposite happened, because you will never see Gabby again." Summer leaned against the ropes, "Everyone has been asking me why I ever aimed for Gabby in the first place," she breathed, "Gabby has gotten everything handed to her. She is not a true diva. She never did deserve to be here. The only reason you people cheer for her is because she&apos;s apart of the Shield." "I smell jealously," Cole muttered. "Shut up, Cole," JBL said back. "I knew that I had to get rid of Gabby some how," Summer continued, "And that&apos;s when my plan formed." Summer smirked, "Do you honestly think I take orders from AJ? I work on my own. AJ might have taken credit for making me do it, but I worked on my own. I was the one that came up with the plan and I was the one who made Gabby get caught by the Wyatt Family." "I was positive that would work, but it didn&apos;t. Gabby had heart, I will give her that," she nodded her head, "I was trying to come up with another plan, but Gabby beat me to it. She attacked me from behind, that crossed the line." "I aligned with Kane and the New Age Outlaws," Summer said, "They were not powerful enough to help me overcome the Shield. The only way I could do this was by joining forces with the most destructive, powerful and greatest faction of all time, Evolution." She continued, "Triple H agreed to it of course. He wanted to get rid of Gabby. She was the one that turned the Shield into goody goodies. She was the one that made the Shield turn against him. He gave me a singles match against Gabby. The minute that match was made, the plan was already set. It made it perfect that John Cena and Bray Wyatt were already having a cage match. No one would ask questions as to why the cage was their that night."